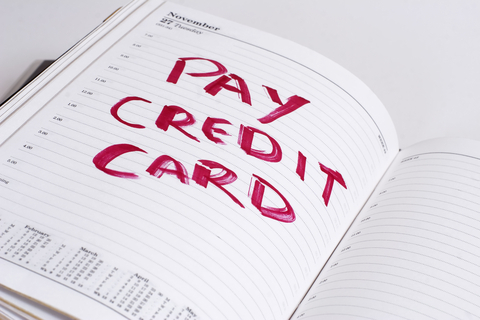 Getting out of debt is critical for achieving a good credit history. You may have credit card debt, a car loan, student loans or a combination of all three. Paying off all of those can be difficult, and can add compounding stress to your life. The following approaches can help you be more effective in quickly getting yourself out of debt and well on your way to financial freedom. Whenever possible, pay down more of the debt than is required of you. While it is generally necessary to only pay the minimum each month (usually 2-3 percent of the debt), paying extra can save you a lot of money on interest and more quickly relieve your financial burden. Keep the debt's interest rate as low as possible. Find out many alternatives to your current debt holders that offer a lower interest rate. For credit cards, you may be able to call the customer service on the back of your card and request that they lower your interest rate. For student loans, you may be able to have them refinanced at a lower interest rate. In addition to managing your debt well, you need to reorganize your cash outflow. Create a strategic plan for your essential expenses for a set period of time. In addition, cut as many things as possible so that you are spending only on what is required to live. You must set an appropriate strategic plan for your essential expenses, like a tax for a period of time. That can organize the minimum payment of the debt you have taken on. If necessary, set up a repayment time schedule to ensure that the reduction of your debt is well-balanced. First, find out the maximum you can afford to pay off of your debt each month. Then, find the debt that has the highest interest rate and begin paying it off first. This allows you to be as effective as possible with each dollar. Some people fail to assess the risk level of the activities with which they are associated. You may always find it tempting to take on more debt so you can raise your standard of living, but that will always make your debt management more challenging – and more risky. You need to measure the progress the payment of the debt. You will have to be capable to celebrate and reward yourself as you hit certain milestones. Your strategic plan can help you to justify your progress. This can be an essential step for your motivation on getting out of debt. Also, it helps to remove some of the weakness involved with paying your loan on time. These approaches might be used as an effective device to pay off the debt quickly. But the actual situation can be more difficult if you have no clear debt plan.